Training services are available primarily through the WIN Job Centers in the Delta area. These training services include: Customized Training, Individual Training Accounts, Internships and On-the-Job Training. Other specialized training to meet industry needs include the Electrical Lineman Training Program and the Manufacturing Skills Basic Information Training Program, both offered through MS Delta Community College. Training that is designed to meet the specific requirements of an employer (including a group of employers); that is conducted with a commitment by the employer to employ an individual upon successful completion of the training; and for which the employer pays a significant portion of the cost of training, as determined by the local board involved. An ITA is an account established by a WIN Job Center operator on behalf of a WIOA eligible individual. ITAs are funded with adult and dislocated worker funds as authorized under Title I of WIOA. ITAs are to be used to purchase training services for skills in demand occupations from training providers on the statewide eligible training provider list. To view a list of current trainings click here. NOTE: Not all trainings listed are approved courses paid for in the local Delta Workforce Development Area due to policy limitations. 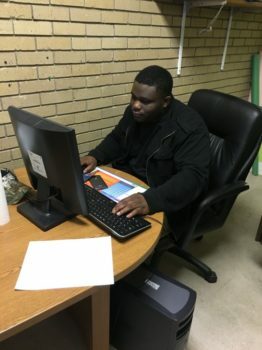 The goal of the internship program is to help eligible adults and dislocated workers gain practical work experience and sharpen their leadership skills while working and getting paid. is defined as training by an employer that is provided to a paid participant while engaged in productive work in a job that: provides knowledge and skills essential to the full and adequate performance of the job; is made available through a program that provides reimbursement to the employer of up to 50% of the wage rate of the participant; for extraordinary costs of providing the training and additional supervision related to the training; and Is limited in duration, as appropriate to the occupation for which the participant is being trained, taking into account the content of training, the prior work experience of the participant, and the service strategy of the participant, as appropriate age.